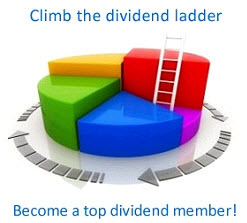 A stock dividend is the distribution of additional shares of stock to shareholders. Stock dividends are generally stated as a percentage of existing share holdings. For example, if you own 1,000 shares of stock and the firm pays a 5% stock dividend, you receive 5% more shares, or 50 shares. Before the dividend, you own 1,000 shares; after the dividend, you own 1,050 shares. If a corporation pays a stock dividend, it is not transferring anything of value to the shareholders. The assets of the corporation remain the same and each shareholder's proportionate share of ownership remains the same. All the firm is doing is cutting its equity pie into more slices and at the same time cutting each shareholder's portion of that equity into more slices. So why pay a stock dividend? There are a couple of reasons for stock dividends. One is to provide information to the market. A firm may want to communicate good news to the shareholders without paying cash. For example, if the firm has an attractive investment opportunity and needs funds for it, paying a cash dividend doesn't make any sense—so the firm pays a stock dividend instead. But is this an effective way of communicating good news to the shareholders? It costs very little to pay a stock dividend—just minor expenses for recordkeeping, printing, and distribution. But if it costs very little, do investors really believe in devices where management is not putting "its money where its mouth is"? Another reason for paying a stock dividend is to reduce the price of the stock. If the price of a stock is high relative to most other stocks, there may be higher costs related to investors' transactions of the stock, as in a higher broker's commission. By paying a stock dividend—which slices the equity pie into more pieces, the price of the stock should decline. Let's see how this works. Suppose you own 1,000 shares, each worth $50 per share, for a total investment of $50,000. If the firm pays you a 5% stock dividend, you own 1,050 shares after the dividend. Is there is any reason for your holdings to change in value? Nothing economic has gone on here—the firm has the same assets, the same liabilities, and the same equity—total equity is just cut up into smaller pieces. There is no reason for the value of the portion of the equity you own to change. But the price per share should decline: from $50 per share to $47.62 per share. The argument of reducing share price only works if you can bring down the price substantially, from an unattractive trading range to a more attractive trading range in terms of reducing brokerage commissions and enabling small investors to purchase even lots of 100 shares. Brokerage commissions are usually lower for shares trading in the range from $20 to $40, compared to shares trading above or below that price range, and for even lots of 100 shares.